United States Ambassador Dereck J. Hogan met with AmCham Board of Directors on April 4, where the Board presented some of their priorities. 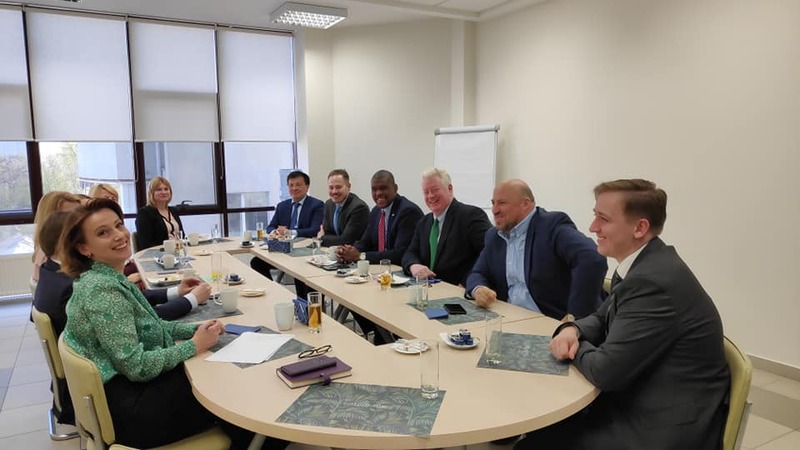 While the Executive Team and some of the Board members have had several interactions with Ambassador Hogan - including his presence at AmCham Annual General Members Meeting - this is the first time Ambassador Hogan visited the AmCham premises. Some of the issues discussed at the meeting include the current business climate in Moldova, ways to attract and keep foreign investors, opportunities available for local companies to do business. AmCham Moldova looks forward to continuing the excellent relationship we have with the US Embassy.